distribution programme. Energy Efficiency Services Ltd (EESL), the coordinator for energy efficient programmes, is launching a similar programme for star-rated agricultural pumps and ceiling fans. EESL, a joint venture of the PSUs in the Power Ministry namely NTPC, Power Finance Corporation (PFC), Rural Electrification Corporation (REC) and Power Grid Corporation, is taking advantage of the profits that accrue to the distribution companies that purchase less electricity from generation firms due to energy savings. EESL procures LED lamps in bulk through competitive bidding and distributes them to the consumers through power distribution companies. The PSU is also facilitating state governments in floating contracts for retrofitting LED street lights and maintaining them, creating market for Energy Service Companies (ESCOs). ESCOs is a concept popular in West but has remained a non-starter in India. 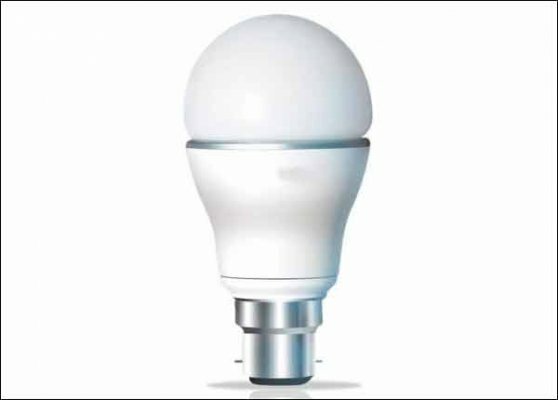 The government has revised its investment estimate for energy efficient electrical equipment to around Rs 150,000 crore from Rs 74,000 crore about six years ago following the success of the LED lamps distribution programme. The fresh estimate reveals an investment potential of Rs 50,000 crore in solar pumps, Rs 40,000 crore in electrical equipment like fans and ACs, Rs 35,000 crore in energy-efficient lighting and street lighting, and Rs 30,000 crore in industrial usage, he said. EESL too has scaled up its investment target 140 times to Rs 70,000 crore in the next five years from the earlier Rs 500 crore fixed about two years ago. The company has so far invested about Rs 5,000 crore. Its equity has increased. The overall size of energy efficiency market is estimated to be Rs. 74,000 crores. Till now, only 5% of this market has been tapped through ESCO mode mainly in the areas of lighting and some industrial applications and the large-scale implementation of energy efficiency is constrained by a number of important regulatory, institutional and financing barriers. The concept of performance contracting implemented by Energy Service Companies (ESCOs) is being increasingly considered as a mechanism to overcome some of the barriers hindering and discouraging the large-scale implementation of energy efficiency projects. In order to develop a viable ESCO industry, Ministry of Power has set up EESL to facilitate implementation of energy efficiency projects. Currently, Rajeev Sharma, the CMD of REC Limited is the chairman of EESL.